When it is summertime, dog owners can only think of playtime and excitement. After all these quick winter walks, we can finally give our precious pups some long, fulfilling, carefree walks from now until fall. However, we must first hold on to think of one particularly dangerous threat to our furry friends during the warmer months. Scroll down to find out more details about this lurking dangerous threat! Before you begin enjoying the dreams of your summer days with your beloved pup, romping through fields and endless fetch games, you must be aware of the dangers that can befall your pup. Probably, you have already been warned of ticks and fleas, but there is still one more danger that threatens all pets. Scroll through to learn about what makes this weed dangerous to pets, and how you can protect your furry friend from its dangers! At first glance, you would find foxtail plant pretty and soft, but who said that plants could not be deceiving? This weed was named for its distinctive seeds’ spike. This wild grass is abundantly growing west of the Mississippi, but it is moving fast and spreading up and down East Coast. 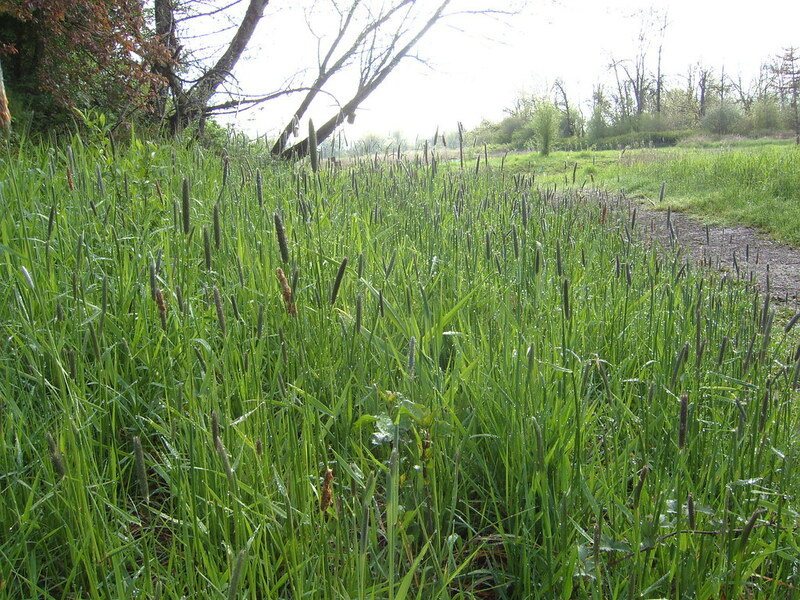 Foxtail can be a new hazard to people, especially who are not familiar with it. The danger of this grass lurks in its spike that is designed to help disperse the seeds efficiently and burrow into the earth. Unfortunately, the advantage for this plant can be a life-threatening danger to our precious pups, as these seeds are lethally sharp. The sharp seeds of foxtail plants can easily penetrate your pup’s paw pads, fur, and even skin. However, the true danger for dogs is when a pup inhale these tiny seeds upon licking or sniffing an interesting scent. When these viciously sharp seeds penetrate a pup’s skin, they can create sores and introduce infection into their body, but when they make their way deep into their system, they can infinitely wreak more damages. Unbelievably, these seeds can travel through any part of a pup’s body. They can work their way down through the internal organs or up through the sinuses into the brain. They can spread infection, damage organs, and even cause death. 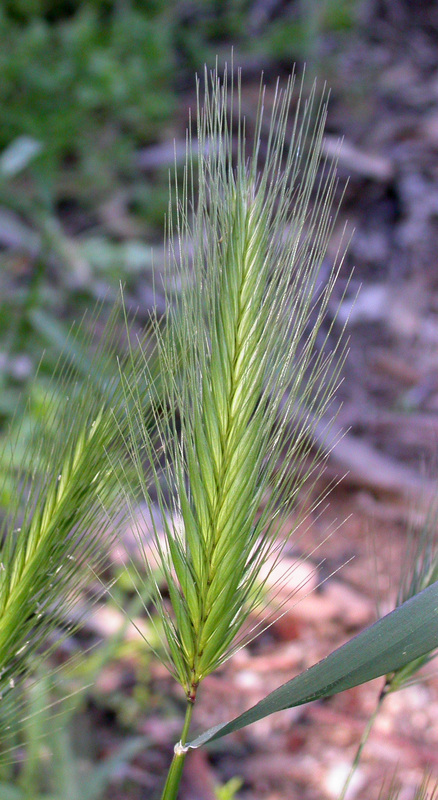 Foxtail sharp seeds are arrayed on the stem in an order that prevents them from moving backward. Besides their sharpness, this array increases penetration chances. Pups penetrated with foxtail seeds cannot get rid of the irritation on their own. Moreover, if a pup inhaled foxtail seeds, they would not dislodge them through sneezing. Dog owners should also consider that long-eared pups are more vulnerable to this threatening danger. Of course, you can protect your furry friend from foxtail by being more vigilant. During walks, keep them away from any stands of feathery and brushy grasses. Once you are home, check them for any burrs in their coat and brush them thoroughly, and double-check them if they have fluffy fur. In case they start sneezing or hacking repeatedly after a walk, take them to the vet right away. Has your pup ever suffered from foxtail irritation? Please let us know about your experience in a comment! If you find these tips important, please SHARE them with all your friends and family on Facebook to help them protect their pets from foxtail during summer! Previous article Eight Weird Dog Bathroom Habits Have Completely Unexpected Explanations! Next article Scared Puppy Won’t Stop Crying Until Amazingly Kindhearted Vet Holds And Whispers Her! Pit Bull Miraculously Survives Gunshot And Still Loves Humans!